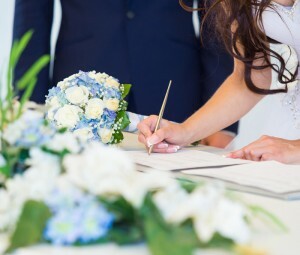 If you’re getting married in another country you need to check with the Canadian representative of that country (Canadian Foreign Embassy), to see if the marriage license is valid in that country. If the licence isn’t, you will have to have a legally binding wedding in Canada before you say “I do” somewhere else. As of May 2014, it cost $135.00 for a marriage licence in Brampton.